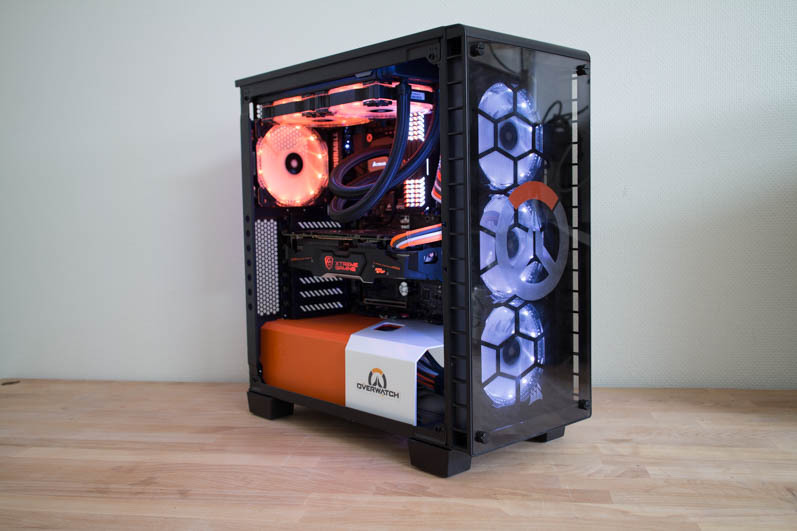 46OW was my second try at doing a theme-mod, this time everything was based on the game Overwatch and Corsair’s Crystal 460X case. 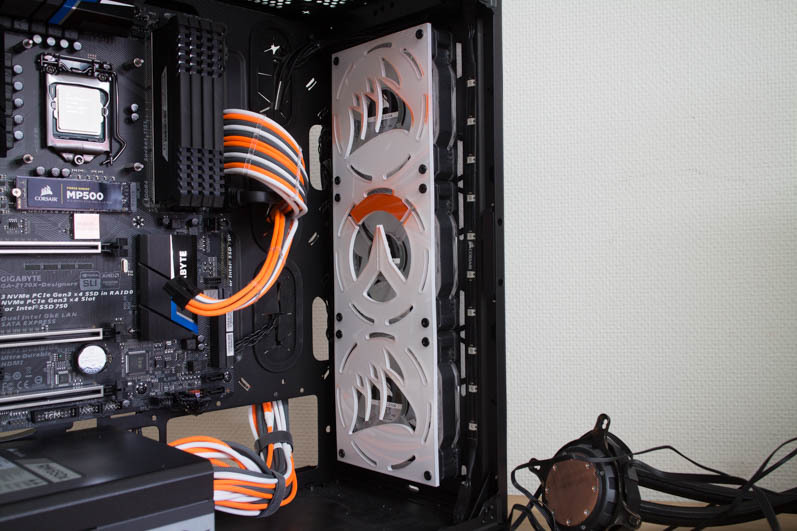 I wanted to choose hardware that would all fit into the theme and color-scheme. 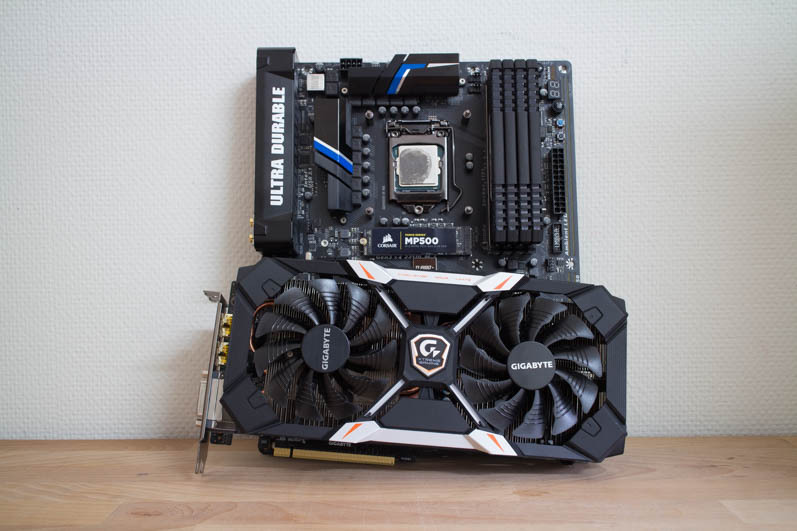 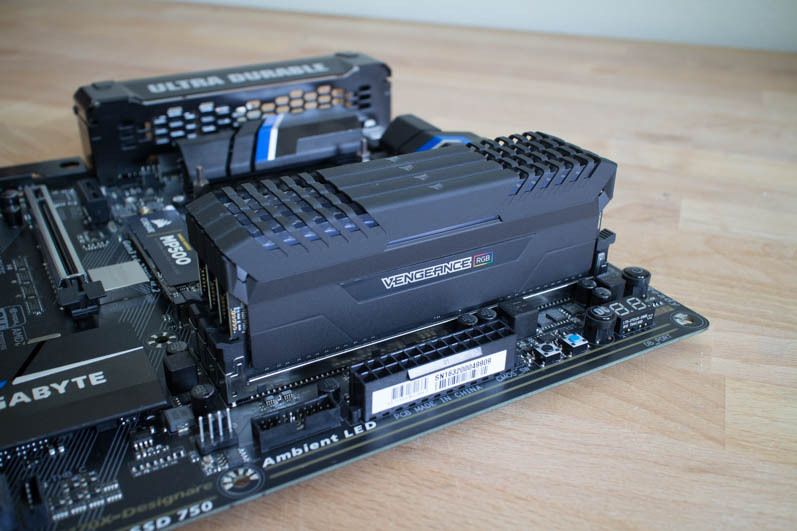 Gigabyte was very nice to help out with a motherboard and graphics card. 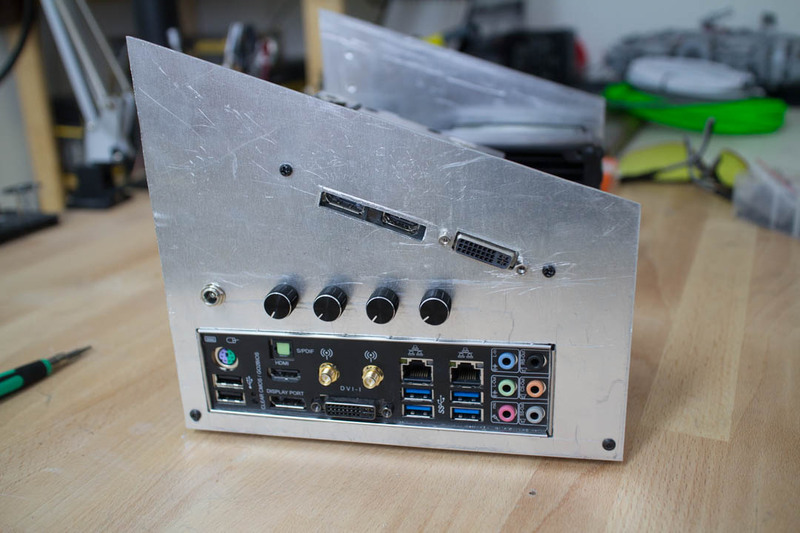 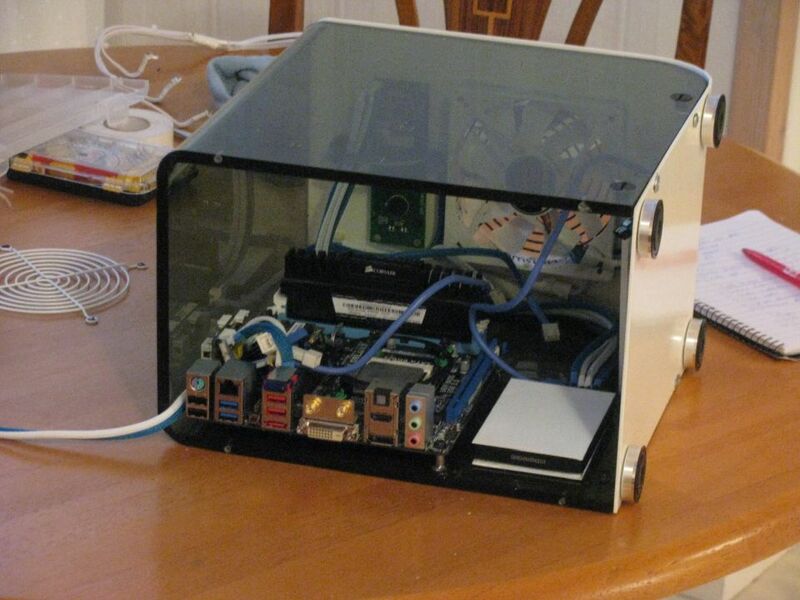 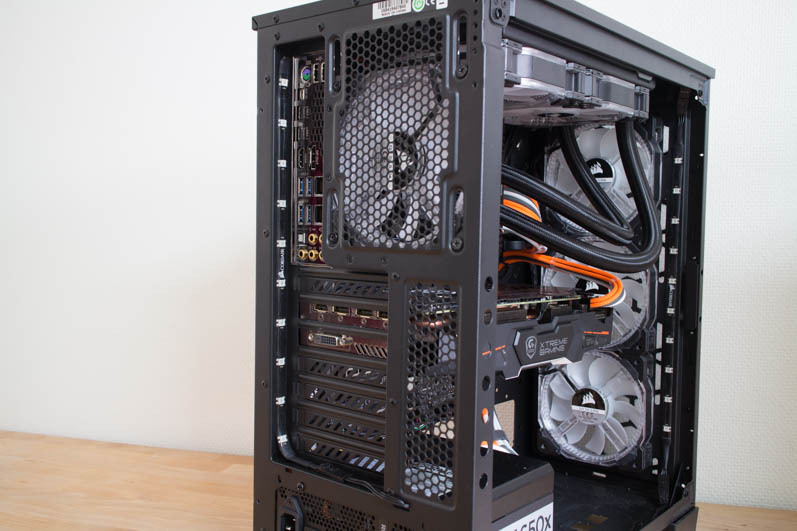 The 460X case is actually pretty small for being a ATX case, which is good. 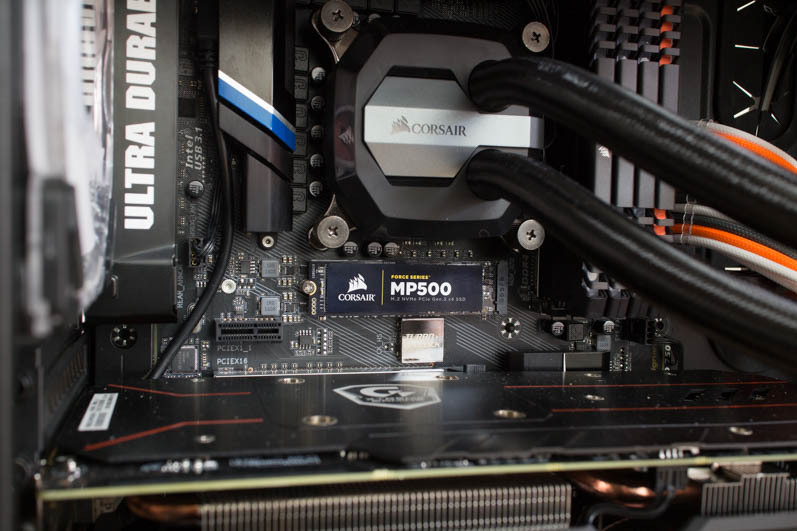 It was also very nice to being able to use a M.2 SSD so no cables were needed for harddrive. 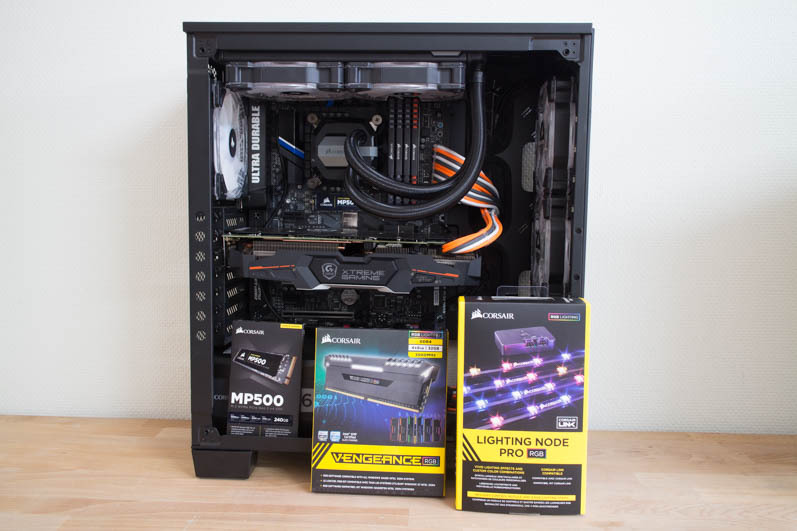 I also used the RGB-strips that comes with the Corsair Lighting Node PRO on the outside around the IO-shield to light that up. 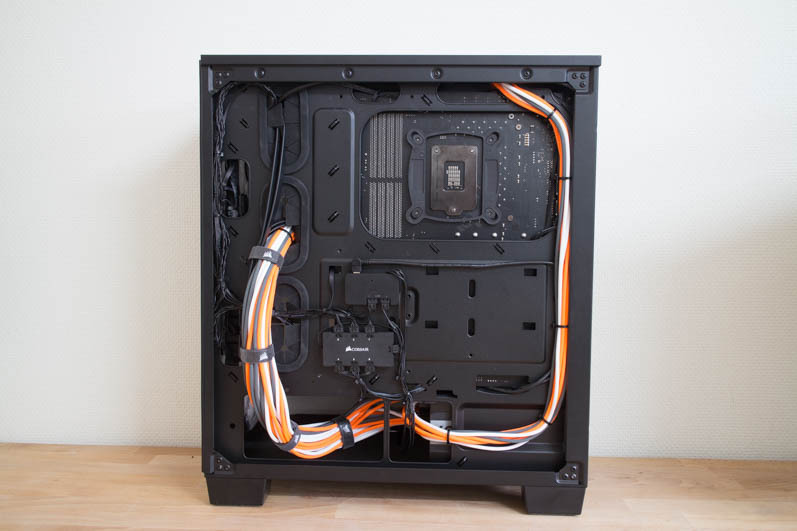 The cables were sleeved by ModGuru. 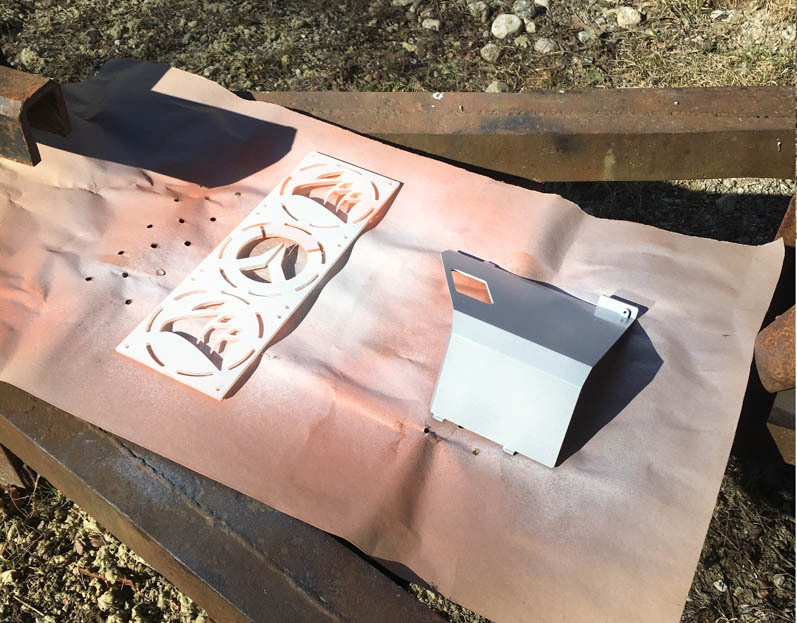 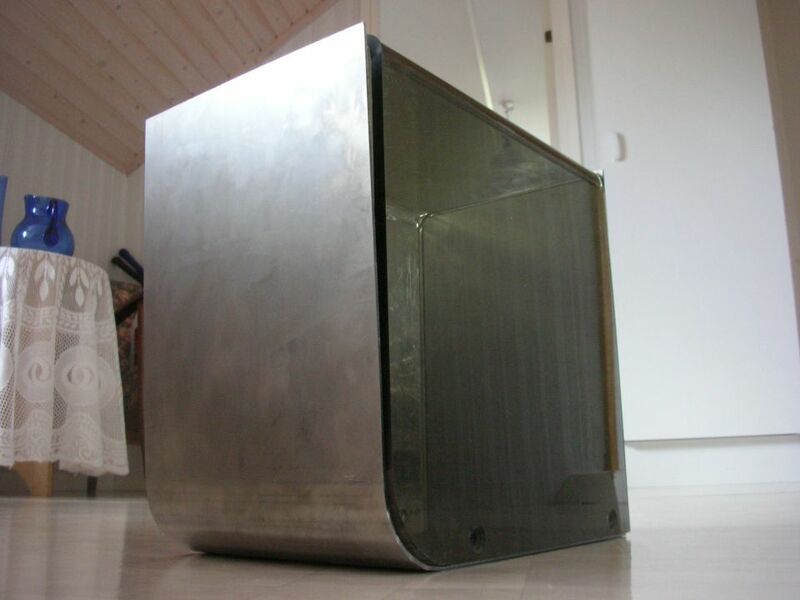 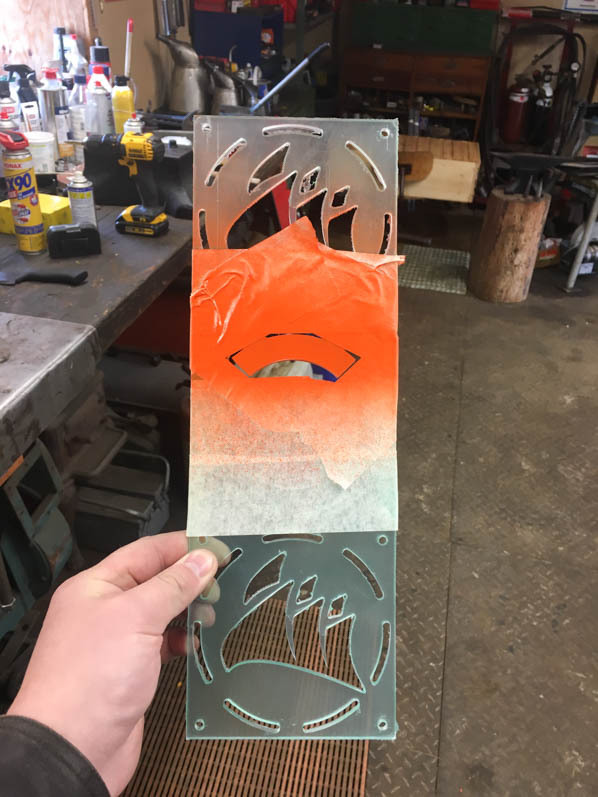 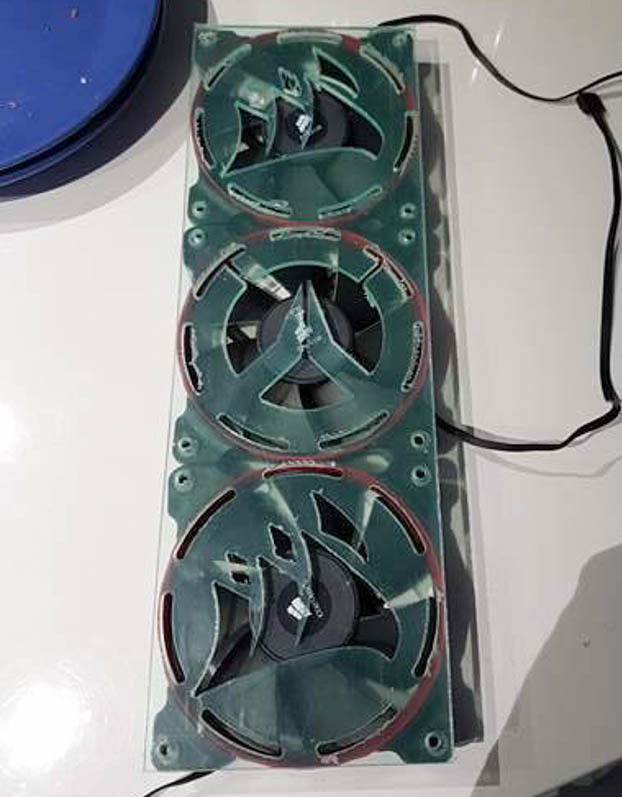 With the help of a friend, Ace_finland, we designed a fan-grill that would cover the inside with both the Corsair logo and the Overwatch logo. 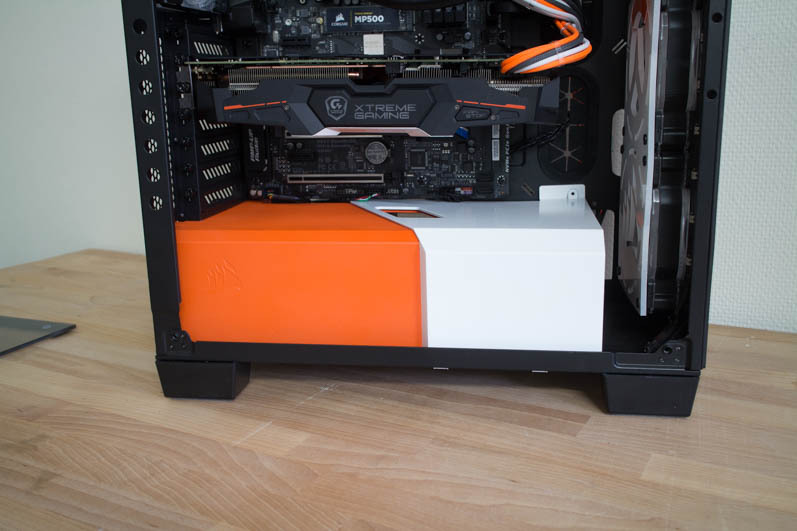 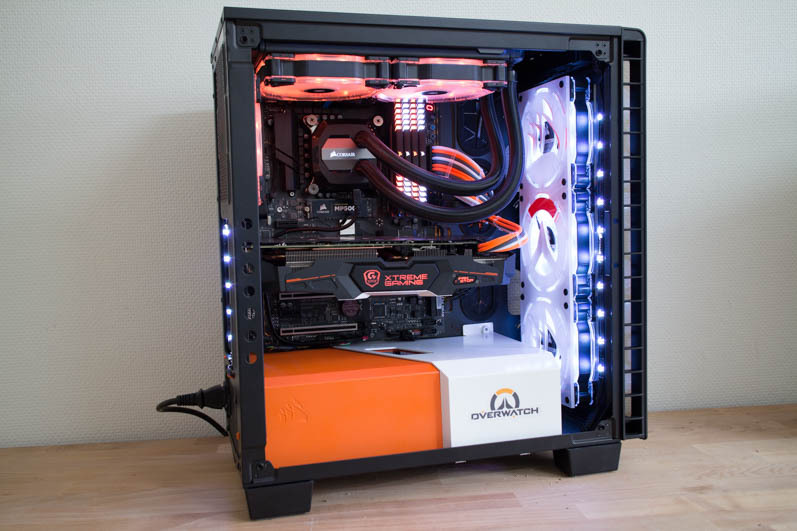 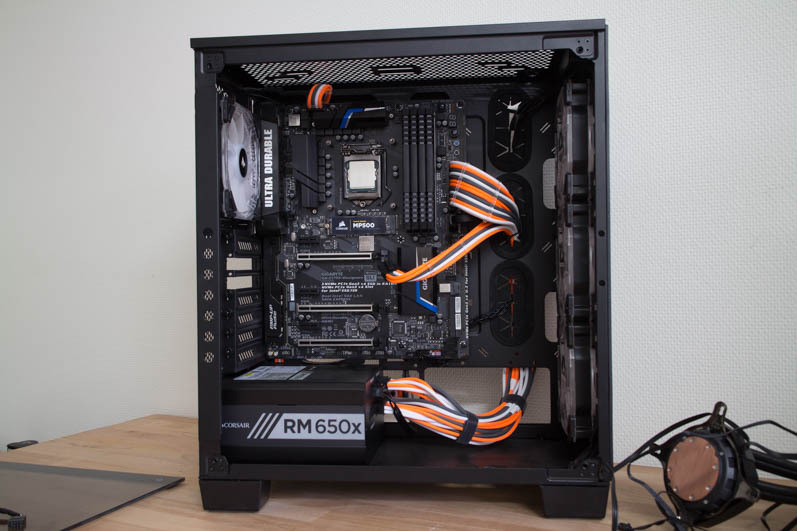 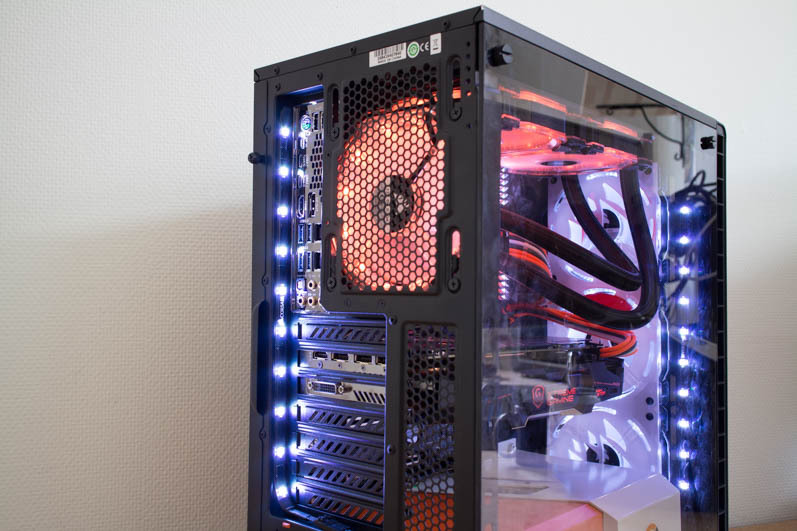 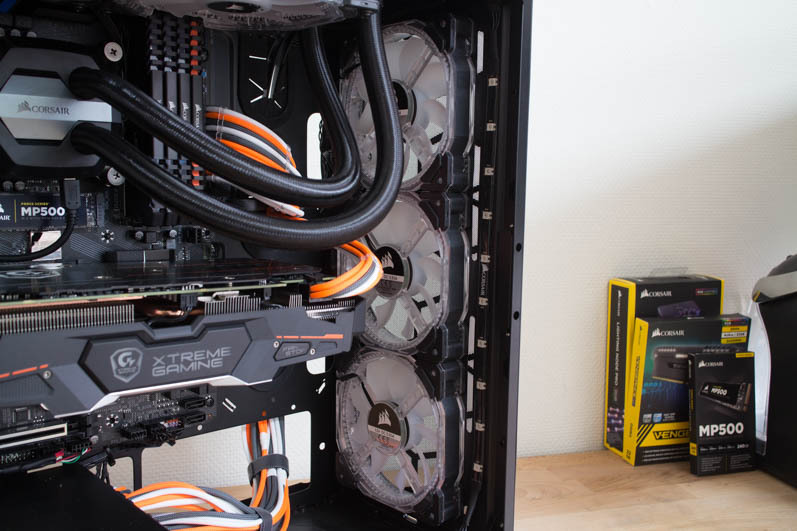 I then painted that together with the PSU-cover white and orange. 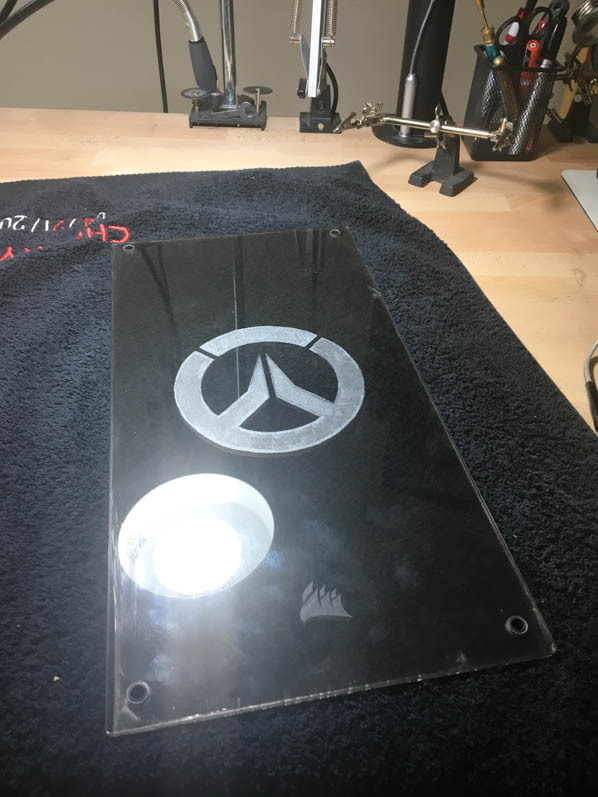 I wanted the front glass to have a Overwatch logo as well, I thought about vinyl at first, but then I decided on engraving it to the glass with a rotary tool. 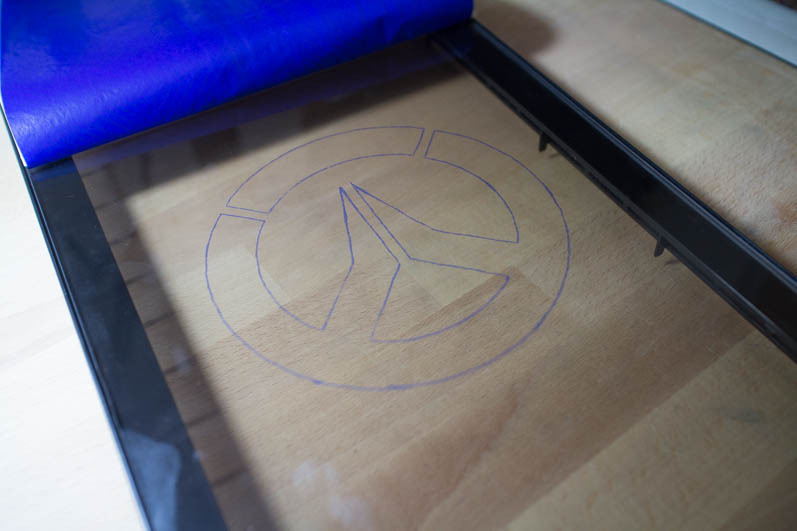 I used something called carbon paper to transfer the logo to the glass. 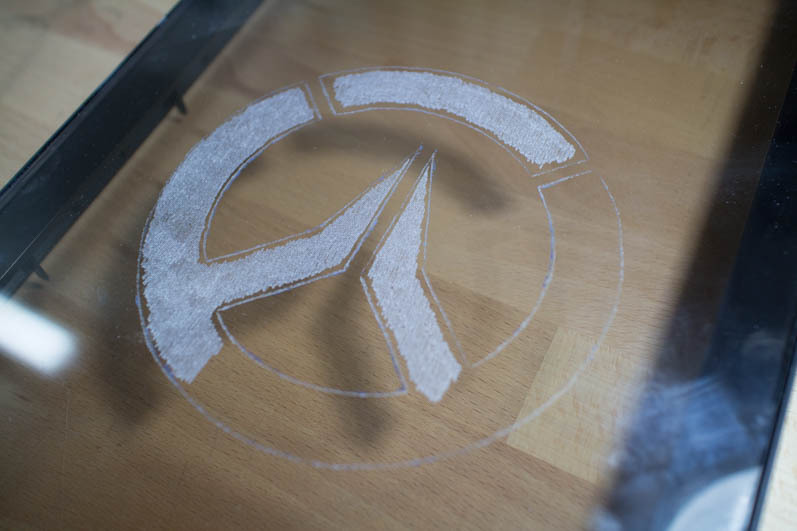 Then I used my rotary tool with a engraving bit to do the engraving, when engraving glass though you need to be extra careful and not use any sharp engraving bits, I recommend using the “ball” ones. 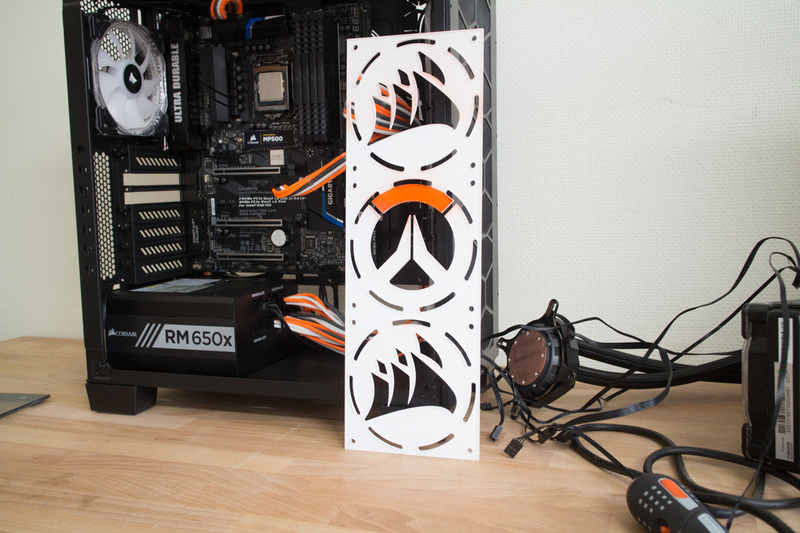 Remember to engrave on the backside and not the outside too! 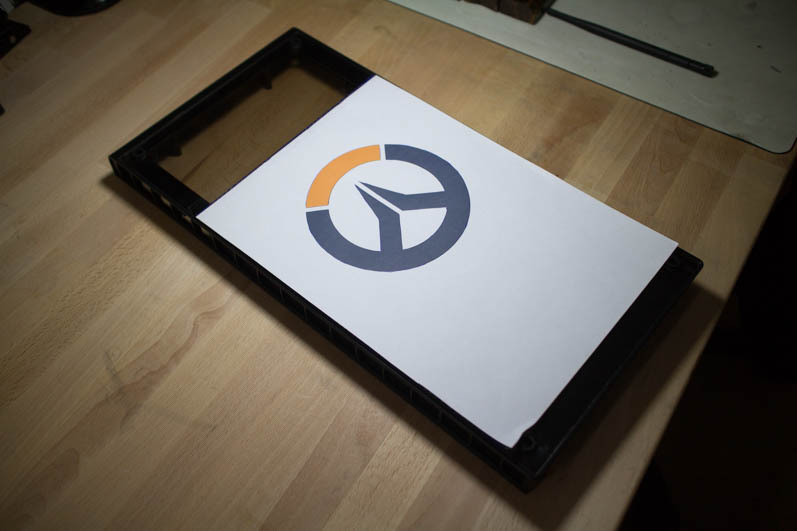 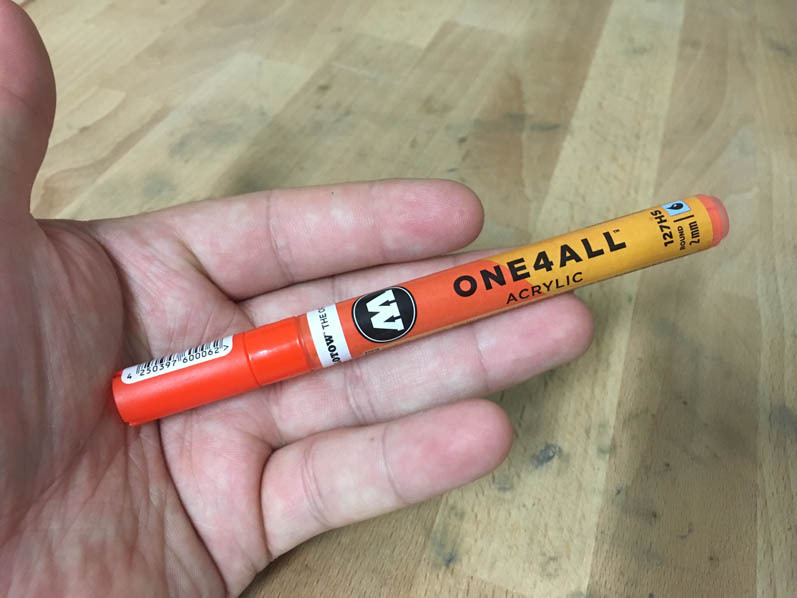 The top part of the Overwatch logo is orange, which I wanted it to be on the glass as well so I bought an acrylic pen and filled it out. 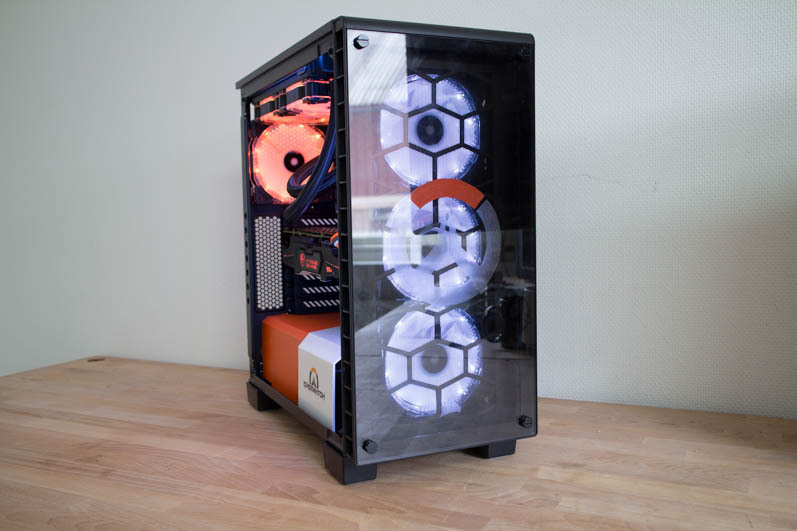 This was how the build ended up looking, for more photos with higher quality, check out the project here!